For the state of Colorado, district rules apply. At least one staff member must be trained in CPR. Please note that by getting your Skill Evaluator Certification through us, it still allows you to train and certify your students in our StudentCPR Community CPR program! As you know, there is a direct benefit to having these life-saving skills at any age, and their certifications provides a framework for going into many occupations, such as dentistry, forestry, adult care, nursing, chiropractic, EMS, physical therapist, and more… so the perk is still there for the students. 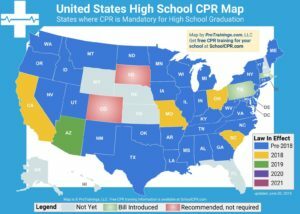 Section 6.13.C of the Rules and Regulations Governing Schools in the State of Colorado require that at least one school staff member with a current certification in Standard First Aid and Cardio Pulmonary Resuscitation (CPR) from a nationally recognized course be on-site during the school day and any school-sponsored trips and events, including, but not limited to, off-site field trips (both single day and overnight trips), athletic events and races, plays, fundraisers, and other school social events. 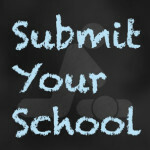 Questions have arisen regarding if this requirement applies to student-specific situations. This memo is provided to clarify the requirement. Student clubs or organizations where meetings are held off-site after school hours and a school staff member is not present.